If you're looking for a Conference venue that combines modern facilities in a unique environment, with close proximity to London and the South East, at excellent value, then Suffolk is the place to come. Here you'll find perfect brainstorming retreats for Board members, backdrops for team building functions and top class accommodation for corporate hospitality. 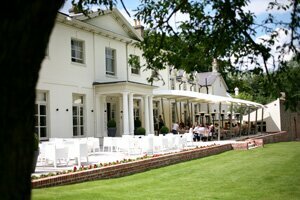 Whatever size Conference or meeting you're organising, you'll find the right Hotel in Suffolk. 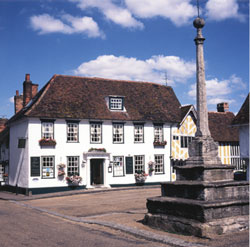 The Great House, (above) in Lavenham, is an authentic small luxury boutique hotel that offers high quality accommodation and outstanding food. 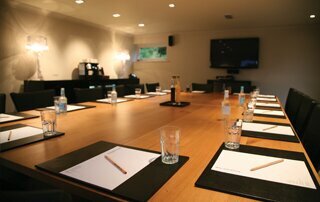 They also offer several meeting rooms and private dining, ideal for Board meetings and away days. Kesgrave Hall (pictured above) is a relaxing yet professional environment in which to hold your forthcoming Board meeting or Executive away day. Part of the highly successful milsoms group of Hotels, Kesgrave Hall is situated in a secluded location yet only 5 mins off the A12, just north of Ipswich, they are convenient to reach and easy to locate. The recently opened Lodges 1 & 2 are purpose-built meeting rooms that can hold between 10 to 16/18 people. Kesgrave Hall is ideal for away days and team building as there are lots of great activities available such as archery and laser clay pigeon shooting. 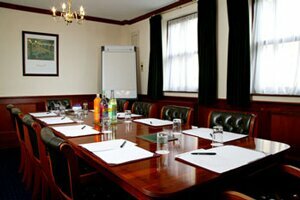 The Days Inn, Haverhill offers a variety of conference and meeting rooms in an area within easy reach of Cambridge, Newmarket and Bury St Edmunds. Ufford Park Hotel, Golf, and Spa in Woodbridge is a modern Hotel with a variety of meeting and conference rooms with state of the art IT equipment, and top class leisure facilities too for post Conference relaxation! 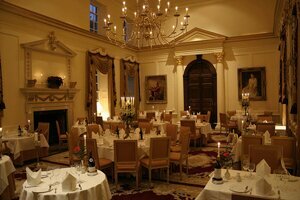 Hintlesham Hall Hotel (above) near Ipswich is a beautiful, historic Hall offering catering for 140 seated or up to 250 buffet style. Wi-Fi is available throughout, and the Hotel also has Health and Spa facilities as well as an outdoor swimming pool and golf course nearby to help you relax in style. So whatever the event, whatever size, there's bound to be a Hotel in Suffolk available to meet your Conference needs. And if you can't find what you're looking for please drop us an email and we'll investigate for you. Also send us your reviews of the best conference hotels in Suffolk.